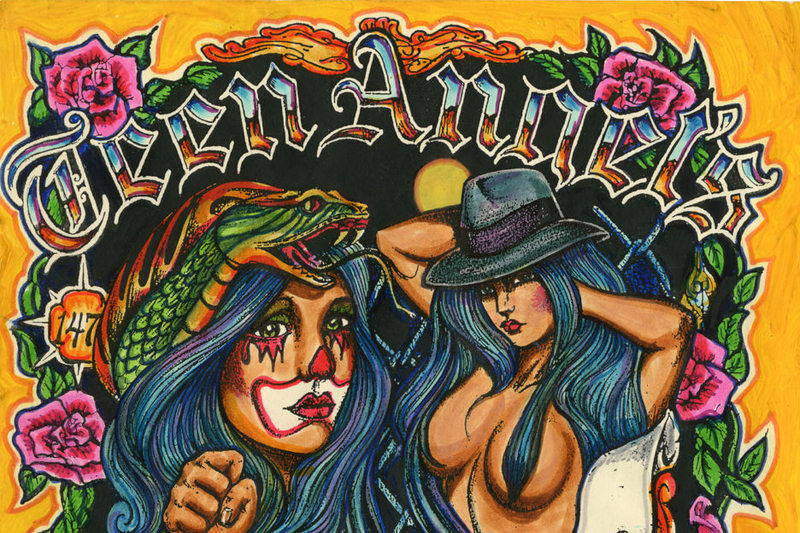 The Teen Angel zine evoked how a generation of Mexican-American youths defined itself. It’s a vibrant memory of an east LA that’s vanishing fast. Teen Angel was a heartfelt dispatch from the centre of East LA’s Latino youth culture. It was a zine in the classical sense — a hand-wrought piece of print from somewhere strange, made by people very different from you. Drenched in colour and sentiment with hard-muscled boys and big-haired girls, it drew together and packaged an idealised version of the late twentieth century Latino youth. It reflected perfectly the ethos of working class Mexican American high school kids in LA’s Echo Park. 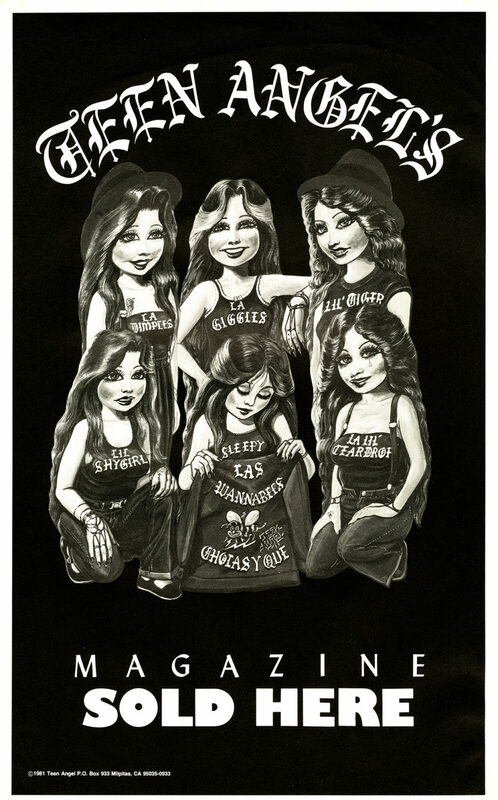 In a way Teen Angel is a fascinating scrap of surviving material culture from that time and that place — but it continues to define how many people imagine chicano youth of the 21st century. Kids from the good ole’ US of A whose heritage reaches back south of the Rio Grande have been created one of the most vibrant and original cultures ever to rise up from the streets. Reflecting the world that spawned it; variously demonised, idealised, bought, sold and exchanged continually by the mainstream, Teen Angel’s terms of visual reference ranges from slammed Impalas to chromed and chopped pushbikes. 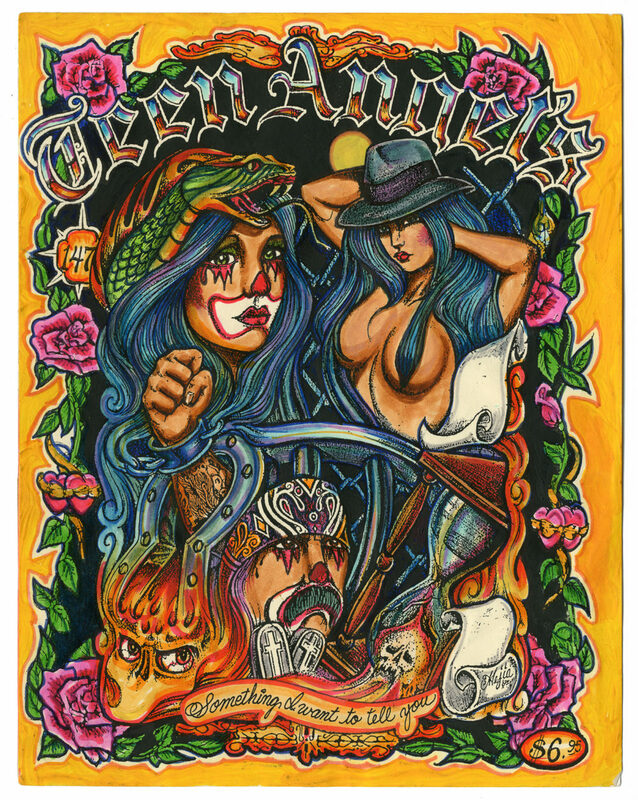 The inked out guys in this paper-and-Crayola universe rock hitched-up chinos, white socks, ribbed wife beaters, bandanas slung low over their eyes and Nike Cortez, while the girls wear their stonewash stretch jeans high over the hip and pair it with satin bombers — gang insignia optional. There are neighbourhood hand signals, chola bands and inky jet Farrah Fawcett waves; there are photo-booth shout-outs and doggerel verses about wasted homies and saint-like mothers and the ache of young love. The soundtrack is a doowop falsetto; a party scene drenched in the sentiment these kids Moms’ and Pops’ were raised in; the joyousness of an America that was abandoned long, long ago. Teen Angel is Teen Angel. It compares to nothing else.